Some time ago, after visiting some websites, I got the idea to generate electric arcs. I found a few ways to do it, and I will resume my experiments on this page. 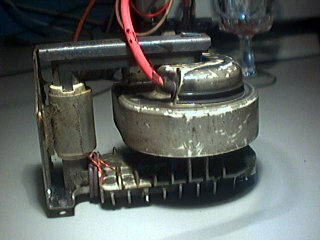 The first high voltage source I found was a microwave oven transformer. 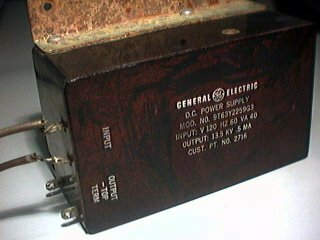 Generally, microwave oven transformers have 2kv outputs at 200-300 mA. 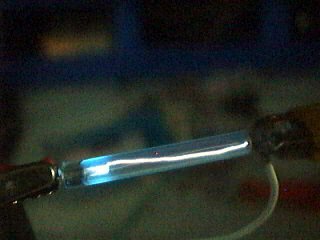 I also used the diode and capacitor from the same oven. 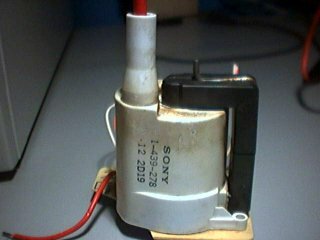 The transformer is a PX771 from toshiba. The capacitor is 0.89uf, 2100 Volts and the Diode is a SR101-C. The capacitor and diode are connected in a way that forms a voltage doubler. 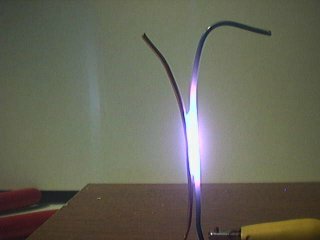 The arc producted this way are very short because the voltage is not high enough. Only 2 or 3 millimeters. 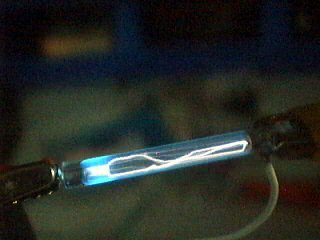 To limit the current when an arc is produced (which is like a short circuit), I ran it in series with a toaster oven. You can see my series setup on this page. 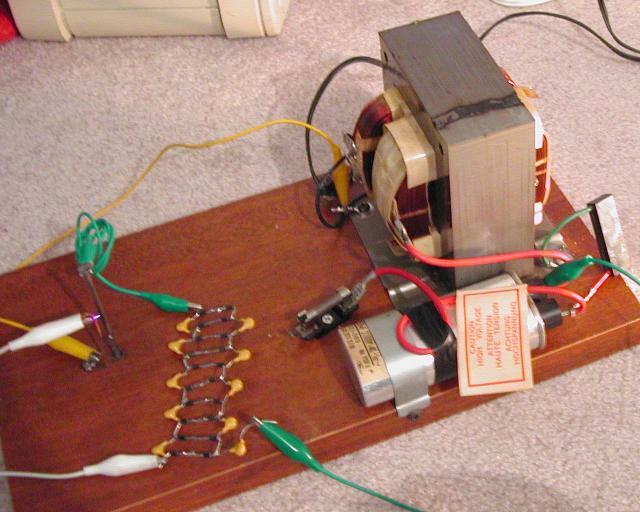 A microwave oven transformer is powerful enough to kill you. Please, do not try to do what I did if you dont know what you're doing. Just one error, and it's too late. Seriously. 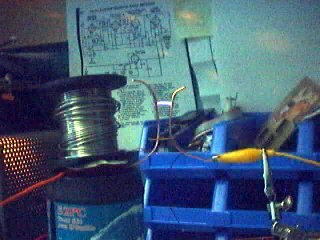 To generate longer sparks with the MOT(Microwave oven transformer), I built a cockroft walton voltage multiplier. 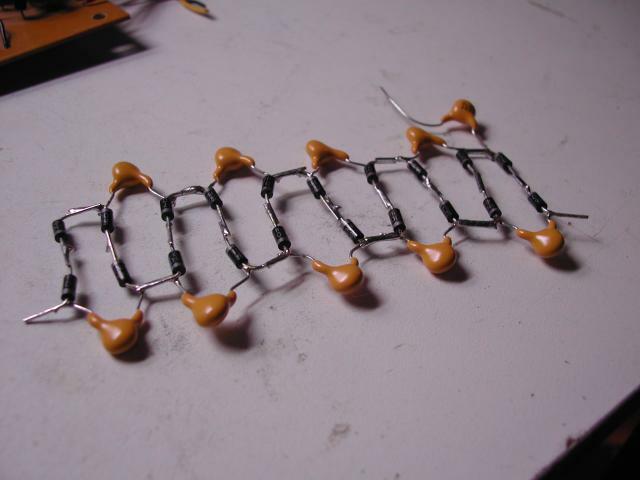 It is built with many diodes and capacitors. I have obtained sparks as long as 6 millimeters. For the schematic and formulas concerning cockroft-walton voltage multipliers, visit this site: http://home.earthlink.net/~jimlux/hv/cw1.htm. To use the flyback from a TV set, you must feed it DC pulses at 15khz(more or less). The 15 khz wave can be generated with a 555 or a frequency generator(that's what I used). 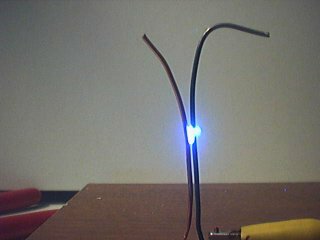 12 Volts are enough, and you should obtain an output voltage of 10-15kv (not sure about the exact voltage). Of course, the 555 output is not powerful enough to drive a flyback. For this, a large transistor or mos-fet should be used. 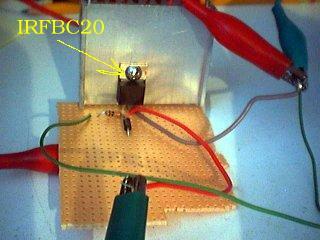 I used an IRFBC20 mostfet, salvaged from a small switching power supply. 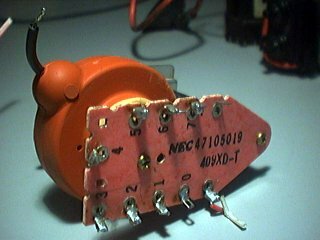 <<<< Here is what a typical flyback looks like... Of course, there are other types, like this one , this one , or this one . 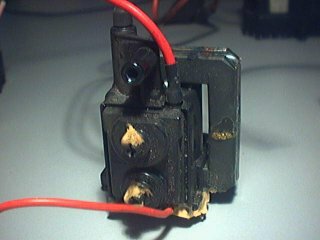 On the picture on the left, you can see my flyback driver. On the right, an attempt to make a jabob ladder. The guy uses a flyback to power up it's Marx generator. My flyback driver is based on his schematic. If you have the time, visit his very good and interesting website. 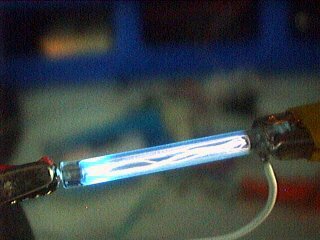 A very interesting site, containing many information and ways to obtain high voltages. There are also video clips. Theory, formulas, schematics, everything you need to know on high voltage.